KuCoin is pleased to inform you that we will support the Matrix AI Network (MAN) mainnet token swap and we will help all MAN holders on KuCoin to complete the native MAN token swap process. Related follow-ups to this subject will be announced separately. 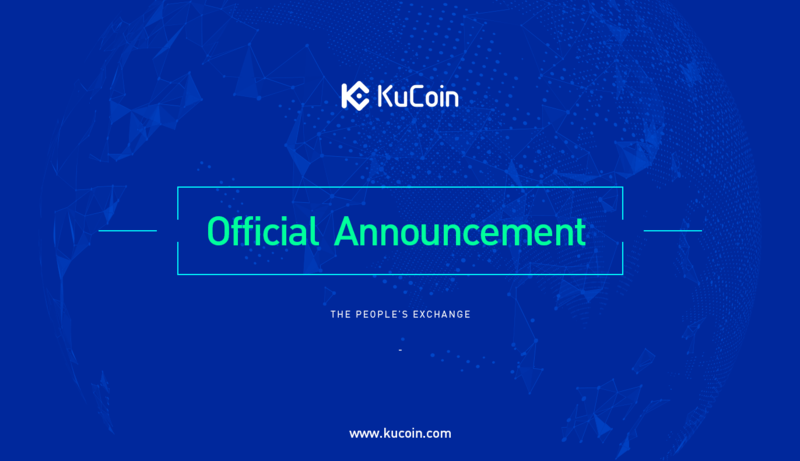 To ensure the smooth release of the proceeding of the token swap, KuCoin will close the MAN deposit and withdrawal services temporarily at 16:00:00, April 11, 2019 (UTC+8). We strongly suggest you to deposit your ERC20 MAN tokens to KuCoin and we will swap the native MAN tokens for you automatically. Thank you all for all your support!